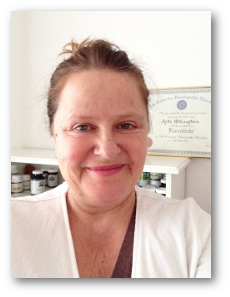 If you are a Guernsey resident, you will be pleased to hear that Guernsey native Anita McLaughlin returned home and now runs a full homeopathic service on the island. For many years Anita served the community by providing Skype consultations to the people of Guernsey. However since she is now resident once more, she is able to attend to all her clients personally. Anita has always maintained close links with Guernsey, her mother, brother and sister live on the island, and she writes regularly for 'GBG magazine'. Anita graduated from the largest homeopathic college in the U.K. in June 2007. She is a Licensed Member of The Alliance of Registered Homeopaths (ARH) which monitors the standards of clinical and ethical practice. In September 2008 she returned to the Centre for Homeopathic Education to study for a BSc in homeopathy.She returned to Guernsey in 2013.